Scientists are making new discoveries all the time. 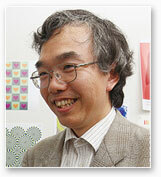 Professor Akiyoshi Kitaoka wants to understand more about how your vision system works … so that he can design optical illusions that outclass anything currently available. Which part of your vision is being tricked? 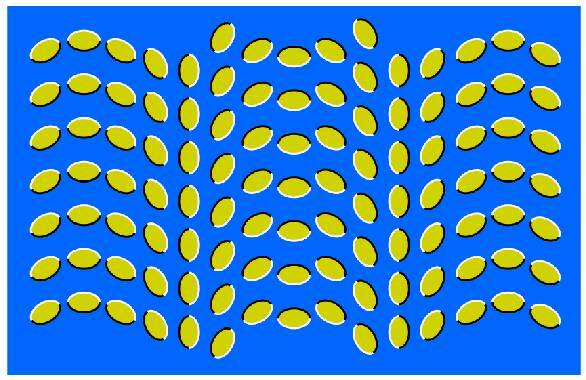 Professor Kitaoka claims that the illusions below work because they trick your peripheral vision. Perpheral vision refers to vision that occurs outside the centre of gaze, so it’s what you see via the ‘corner of your eye’. 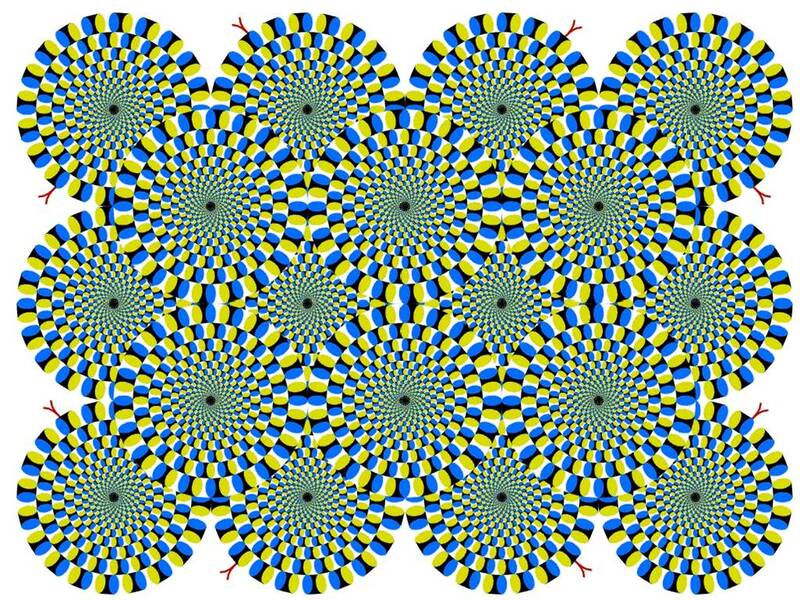 Can you think of a way you can right now test whether this is indeed the part of the vision that is key for these illusions to work? Did you think of a way? Here’s something you could try (or maybe this was your idea anyway). Try making your hands into a kind of telescope so that you are only seeing a small portion of the illusion and you are using your central vision. Does that stop the motion?